The Tampa Bay Rays and political leaders from Tampa and Hillsborough County have compiled a list of nine potential ballpark sites, including a few locations that have already been identified in the media. [Hillsborough County Commission Ken] Hagan confirmed that the discussion touched on the Tampa Park Apartments site near downtown Tampa, as well as the Florida State Fairgrounds east of the city and the Jefferson High School site in the West Shore business district. The downtown property where the ConAgra flour mill now sits did not come up, Hagan said. Previously, local officials have said the property likely is too small and moving the flour mill to a new home would be too expensive. [Rays President Brian] Auld acknowledged that some of the sites discussed have not been the subject of as much public speculation so far. Asked whether the discussion touched on the Heights property near the old red-brick trolley barn building — 49 acres just north of Interstate 275 on a scenic bend in the Hillsborough River — Hagan acknowledged that it was brought up, though he said the challenges included “specific design plans” for the property. It’s way early in the process, and we don’t expect to see a winnowing of sites down until after the current season ends. And the Rays haven’t even begun talking with Pinellas County and St. Petersburg about any potential ballpark sites, which could include something in the redevelopment of the Tropicana Field area. 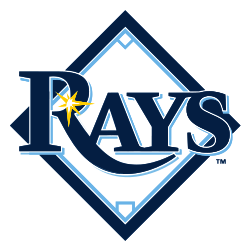 Auld said the Rays have challenged their architect, Kansas City-based Populous, to throw out all traditional ideas of building a ballpark. This could be an exciting development if the Rays actually follow through. Most MLB front offices are incredibly conservative in terms of reaching out to the public in a non-baseball sense, but if the Rays are successful you can bet other MLB teams will be following suit.